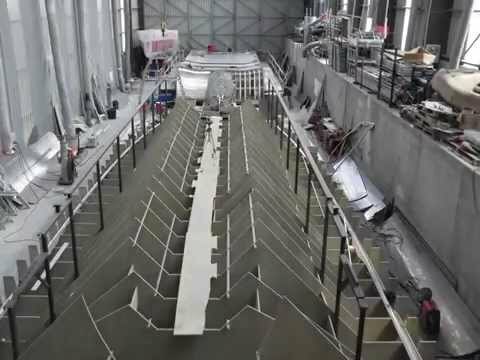 French builder JFA Yachts has recently delivered its first Long Island 85 sailing superyacht catamaran WindQuest, and now get a behind-the-scenes look at her build process with this time lapse video. In under a minute, the aluminium hull comes to life before our eyes. The 26.25 metre cat is designed for high-performance cruising by French naval architect Marc Lombard, with a priority on weight savings. Lombard chose the construction method of bonding her aluminium hulls to a composite superstructure. For more on this fast-flying, yet luxe catamaran, stay tuned for a full feature on superyacht WindQuest.